After a pretty intense design and development phase, we’re excited to launch SFX, our new line of premium consumer fireworks. And now, you have the chance to buy our new brand’s first seven products: Immortals, Color Rush, American Creed, Majestic Brocades, Mine Craft, SFX Artillery 3-Pack and our 1″ Mini Magnum artillery shell kit (available this spring) . We wanted to offer our customers a new line of quality products they’ve never seen before. We wanted to hand-select fireworks that represent our desire for excellence and good design. We wanted to offer a line of consumer fireworks that combined performance and style at an affordable price. 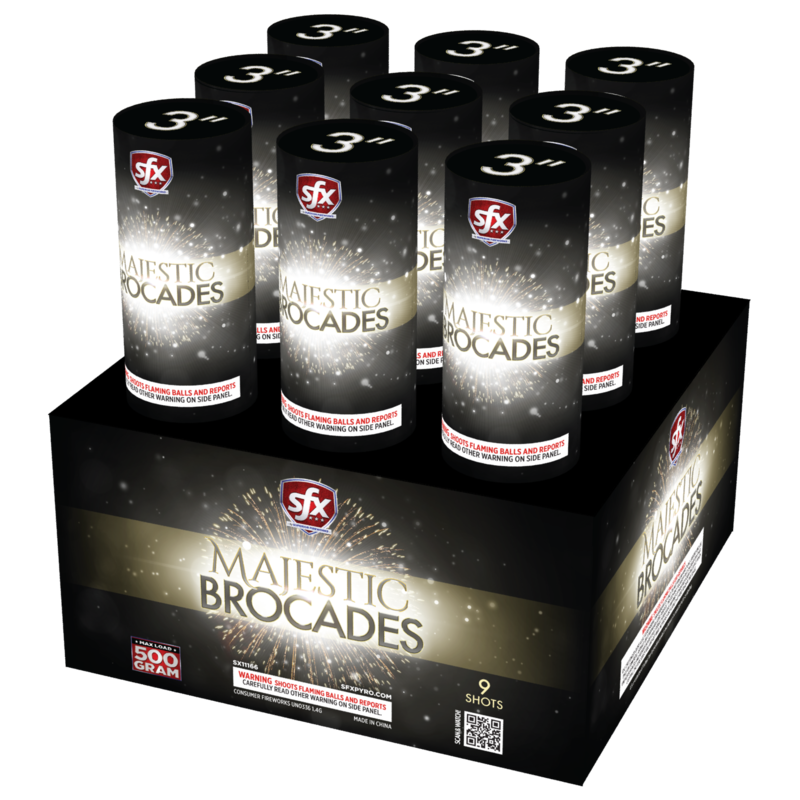 SFX’s new products currently span three different categories: 500-gram repeaters (Immortals, American Creed, Color Rush), reloadable shells (Mine Craft, SFX Artillery 3-Pack, 1″ Mini Magnum) and finale racks (Majestic Brocades). The difference is in the details. Whether it’s unique effects, like Mine Craft, better product design, like the SFX Artillery 3-Pack, or innovative labeling that can provide a customer with all the information they need to make an informed purchase, with SFX products, no detail is left untouched. The information panel from Zeus, one of the 500-gram repeaters in Immortals. The quality and craftsmanship of our SFX brand is going to impress your fellow pyros once you step away from the fuse and that first lift charge fires. But even before you and your friends are standing wide-eyed beneath our signature effects, they’re going to notice that your SFX Fireworks are very different from what they’ve seen before. The care we put into our package design stands out from the crowd. 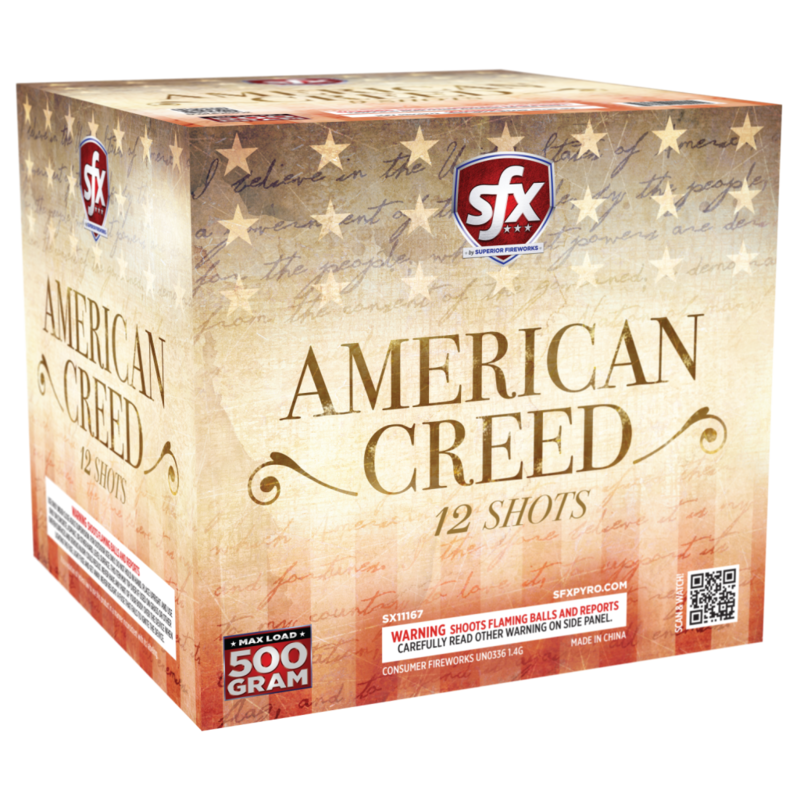 In other words, SFX Fireworks offer you the chance to bring something new to the table. If you’re a retailer, you can finally stock your shelves with fireworks that have amazing shelf appeal, easy-to-understand explanations of effects, duration and more; as well as QR codes customers will love using to see product performance videos. 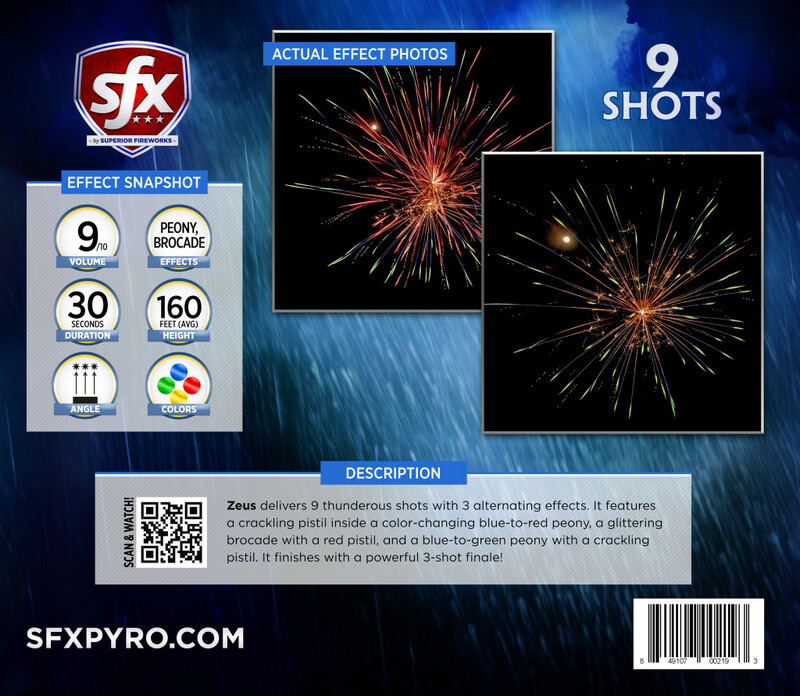 For the consumer and the retailer, SFX Fireworks introduces a new era in consumer fireworks excellence. 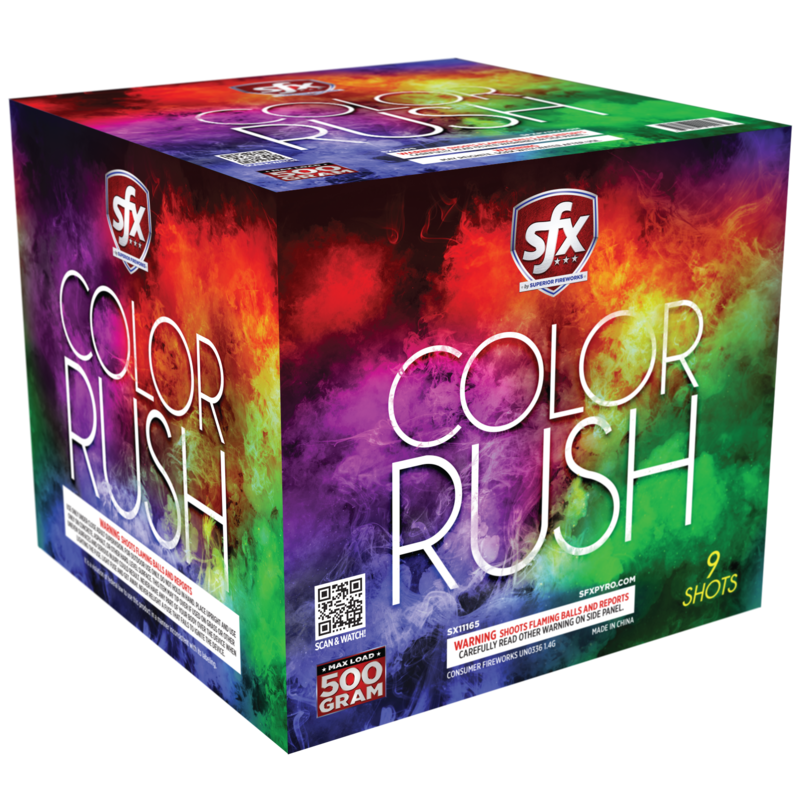 Click here to be the first among your friends and competitors to buy SFX, the new leader in premium consumer fireworks. Now Open for New Year’s! Do you have a catalog and a DVD video that you can send me? Michael, we don’t have a printed catalog or DVD available at this time, but I can direct you to a printable price list if that helps. Also, I understand that you’ve been working with Robert to get some additional information, and he can definitely be a great resource to help you. Let us know if you have any other questions!